Join Brooke USA, sister charity of Brooke, the official charity of the FEI World Equestrian Games™ Tryon 2018 (WEG), as they launch a 360° video and immersive interactive experience in the World Equine Expo™, bringing to life the reality for people and their working equines in South Asia’s brick kilns. Brooke followed a young couple, their child and their horse in the brick kilns through 360° video. Attendees of the World Equine Expo™ will have the opportunity to experience their world and daily life. Brooke USA Shop at WEG will be the place to go to purchase books from Trafalgar Square and pre-order your copy of Mary Alice Monroe's "The Summer Guests." Meet celebrity makeup artist Leslie Munsell and buy Beauty For Real cosmetics. Shop note cards, Brooke Bricks and more—all to benefit equine welfare programs. Look for Brooke USA at the World Equine Expo™. Meet New York Times bestselling author Mary Alice Monroe. She will be among Brooke USA's many presenters at the FEI World Equestrian Games™ Tryon 2018. 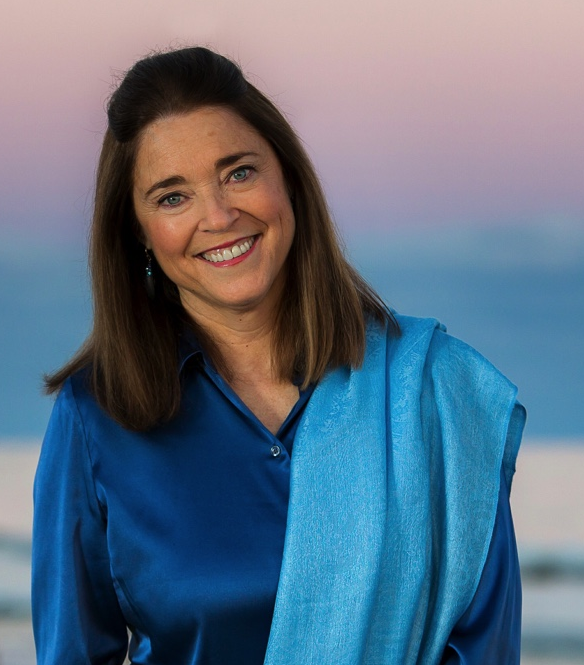 She will make guest appearances to read excerpts from her newest novel, "The Summer Guests," set in the equestrian world of North Carolina and Wellington, to be published by Simon and Schuster in early 2019. A percentage of proceeds for WEG book pre-orders will go to Brooke USA. Learn from a diverse and extraordinary group of the Brooke USA speakers and presenters. Petra Ingram, the chief operating officer of Brooke, the world's largest international equine welfare charity. Topic: "How the Official Charity of the World Equestrian Games Educates People in the Poorest Parts of the World How to Improve Care for their Equines and Improve their Own Lives in the Process." Monty Roberts is an internationally renowned "horse whisperer." and a Brooke Global Ambassador. Roberts will demonstrate his methods at the FEI World Equestrian Games™Tryon 2018 as part of Brooke USA's series of presentations. Topic: "From Giraffes’ Toenails to Pakistan’s Coal Mines: How in the World Did I Get Here?" 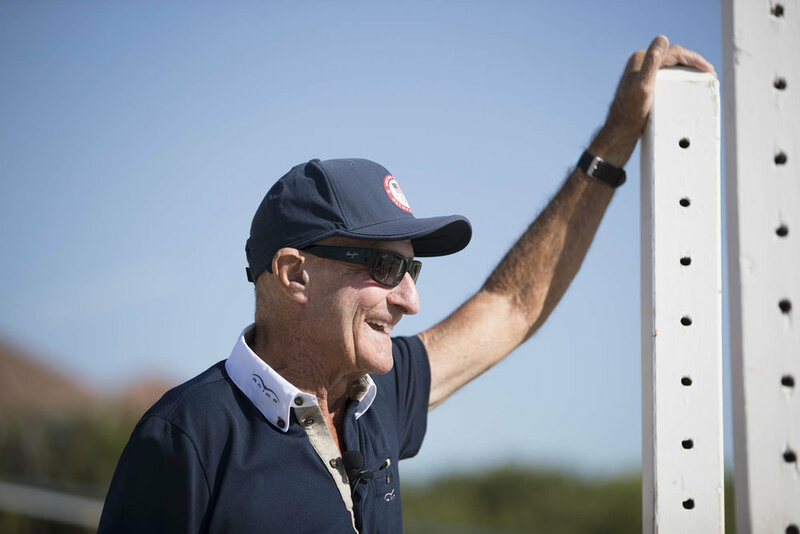 George H. Morris, former chef d’équipe of the U.S. Show Jumping Team, will speak on two occasions during Brooke USA's presentations, with signings of his book "Unrelenting" to follow. George Morris is scheduled for Sept. 15 at 10 a.m. in the Equus Theater and Sept. 22 at 12 p.m. in the Coca-Cola Theater. A percentage of proceeds from George Morris' book sales at WEG will benefit Brooke USA. Topic: "A Lifelong Love Affair with Horses, from Rural England to the Grounds of Buckingham Palace." Clayton Fredericks competes and trains at the elite level of international eventing. He is a two-time FEI World Cup Champion, Olympic silver medalist, World Equestrian Games individual silver and team bronze winner, Rolex Kentucky Three-Day Event winner and more. Fredericks will provide analysis of the WEG eventing competition and his view on how the cross country course will ride. He will highlight the critical fences and combinations on the course and predict performances and riders to watch and take audience questions. Hear Clayton Fredericks commentary and predictions Sept. 13, 9 a.m. in the Equus Theater. Debbie Dos Santos is the chief operating officer of Journeys Equestrian Travels and Brooke USA supporter. If you dream of riding through foreign lands but don’t know how to make it happen, Dos Santos can make it easy. She will talk about her luxury travel company and the travel experiences she creates that include equestrian adventures, world equestrian events and preferred properties. Debbie Dos Santos will speak Sept.19 at 10 a.m. in the Equus Theater. J.J. Tate is an International dressage rider, trainer, coach, a USDF bronze, silver, and gold medalist and Brooke USA Ambassador. She has competed at the top of the sport around the world and she'll be one of our Brooke USA demonstrators at the FEI World Equestrian Games™ Tryon 2018. Experienced riders and those new to dressage will enjoy and benefit from Tate's demos. See J. J. Tate Sept.15 at 10:30 a.m. and Sept.16 at 2:30 p.m. in the Demos Arena. Join Brooke for the ribbon-cutting and unveiling of the "Brooke Breezeway," at the Tryon International Equestrian Center as a legacy of the FEI World Equestrian Games™ Tryon 2018 (WEG) on opening day, Sept. 11, at 4 p.m., prior to the opening ceremonies. Memorialize your WEG experience with an engraved Brooke Brick personalized with your name or the name of a beloved person or pet, to be permanently installed in the new "Brooke Breezeway" at Tryon International Equestrian Center. Brooke Bricks are made in the U.S., and no animals are involved in production. 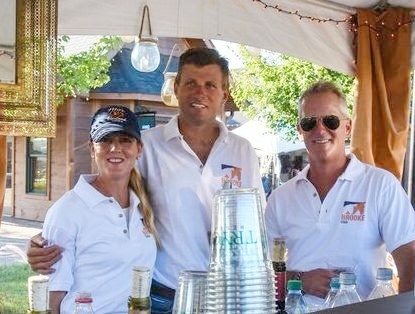 Celebrate over cocktails served by celebrity bartenders and raise money for Brooke USA. Cash bars, a signature drink and tips going to Brooke USA.